Tinkoff-Saxo team owner, Oleg Tinkov says he wants to cut Peter Sagan’s salary after a disappointing spring campaign this season. The Slovak had been expected to bring in the results in the Classics given his history, but since signing with Tinkoff-Saxo over the winter, he struggled. He is only coming around now with stage wins and the overall in the Tour of California. “The problem in cycling is that it’s not easy to cut someone’s salary, we have a contract,” Tinkov told Italy’s La Gazzetta dello Sport newspaper on Sunday. “When the cyclists win, they want more money, but we don’t see the reverse of that. If I find some legal way, I want to reduce his pay, but we have to work on it. I think riders should have raises with good results and cuts if they don’t, you don’t sign a three-year deal and then don’t bring in results. Sagan signed for an estimated €4m (£2.90m) a year over three years this winter. Given his previous results in the Classics and Tour de France, he may have been worth it. He won the E3 Harelbeke in 2014 and Ghent-Wevelgem in 2013 while he stopped just shy of a major monument win with second place in both Milan-San Remo and the Tour of Flanders in 2013. The 25-year-old counts wins and the accompanying points jersey in almost every stage race he’s taken part in. In the Tour de France, he has four stage wins and three green jerseys. The 2015 season, however has thus far been fairly dry. He only scored his first win in Tirreno-Adriatico, nine months since his last. In the Classics, he was good, but not what experts had expected of ‘The Saganator’. Tinkov explained that he expects results from January to October. “There are the Classics, the other WorldTour races, races in Australia, the Middle East…For this reason, we brought on Sagan and built a part of the team around him, but we didn’t get on the podium. I can’t be happy with that,” Tinkov added. “I’m not going to kill him, we are talking about sport and there aren’t guarantees. It’s clear that money’s not everything. I’ll tell you, if we win the Giro, the Tour and the Vuelta, I’d believe that it’s still not enough for a team with a budget like ours. Tinkov fired team founder and team manager, Bjarne Riis this spring during the Classics. The reason still remains vague, but the next day, Tinkov lampooned the Danish 1996 Tour de France winner for living in the dark ages of cycling. 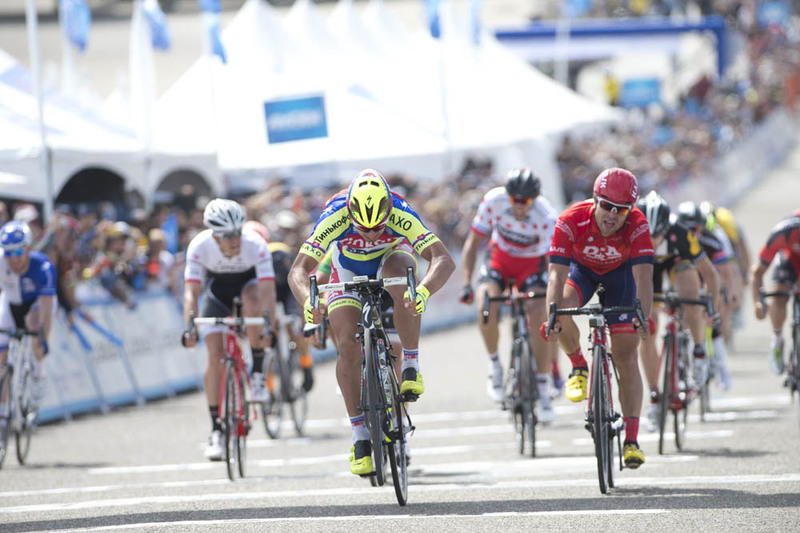 This month, the results began to come thanks to Sagan in California and Alberto Contador in the Giro d’Italia. Contador leads the race after one week, but it is clear that Tinkov wants more from his team and is putting pressure on them to deliver.